But no news about Sky Sports 5, which was available on Vision+. BT has officially announced the launch of Sky Sports 1 and 2 on its YouView service, following tests at the end of last week. The launch follows a Competition Appeal Tribunal verdict last month in BT's favour, which means Sky is forced to provide Sky Sports 1 and 2 on a "Wholesale Must Offer" basis on BT's YouView service. BT and Sky would need to reach a commercial deal for the other Sky Sports channels to appear on BT YouView. The addition of Sky Sports 1 and 2 on BT YouView means that BT's older Vision+ platform can now be withdrawn: due to the ongoing battle between BT and Sky, BT had to keep its older pre-YouView platform open in order to offer Sky Sports to its subscribers. It has now announced it will not be accepting any more orders for the Vision+ service and existing subscribers will be able to migrate to YouView. BT will offer Sky Sports 1 and Sky Sports 2 for £22 a month or £16.50 a month for one or the other of the channels, and subscribers will be able to opt in and out of the channels with 30 days’ notice. Notably only Sky Sports 1 and 2 have launched on YouView. Sky Sports 5, which launched on Vision+ in August, is absent. As it stands, BT TV viewers with Vision+ will lose Sky Sports 5 when they migrate to BT YouView, pending any possible future commercial carriage deal between BT and Sky and the outcome of the ongoing legal wrangling over the "Wholesale Must Offer" terms between BT and Sky. Sky Sports 5 surprisingly appeared on BT Vision+ after Sky moved content previously on Sky Sports 1 across to Sky Sports 5 in August. “The ability to bundle together great content on our most advanced set top box will underpin our aim to sell BT TV to more of our broadband customers and to accelerate the number of our customers who take a triple play bundle from us. BT says that "existing BT customers who already pay for Sky Sports 1 and Sky Sports 2 will usually be able to swap their Vision+ box for a YouView+ box for just £35 at the end of their current contract, if they also take BT Infinity. " 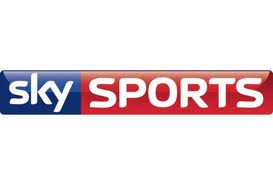 Sky Sports 1 is on BT YouView channel 501, Sky Sports 2 on channel 502.